Would your school like to participate in the first annual Wise Mullet Awards? The 2011/2012 school year marks the start of an exciting new program for third-graders promoting literacy, heritage and Character Ed in our Gulf Coast communities. 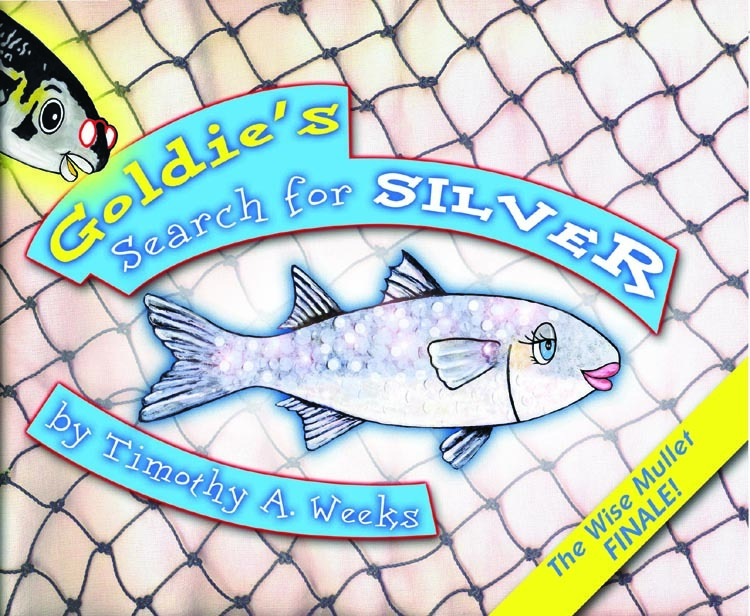 Available for select school districts in Louisiana, Mississippi, Alabama and Florida, this wonderful enrichment program begins the school year with an author visit from Timothy A. Weeks and ends with awards for one “Wise Mullet” in each third-grade class. It’s a great incentive to encourage wise behavior throughout the school year, while nurturing a love of reading and celebrating our unique Gulf Coast Heritage. Call or email to see how your school can participate. On March 5, author Timothy A. 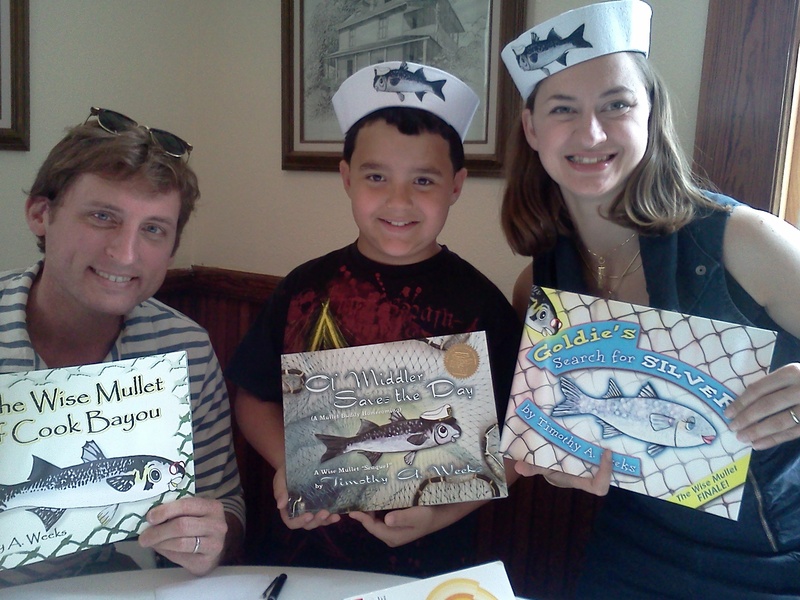 Weeks and illustrator Miss Lala took part in Lake Helen’s 17th Biennial Florida Authors Book Fair. Weeks presented in the historic Hopkins Hall, the site of the original Lake Helen Public Library. 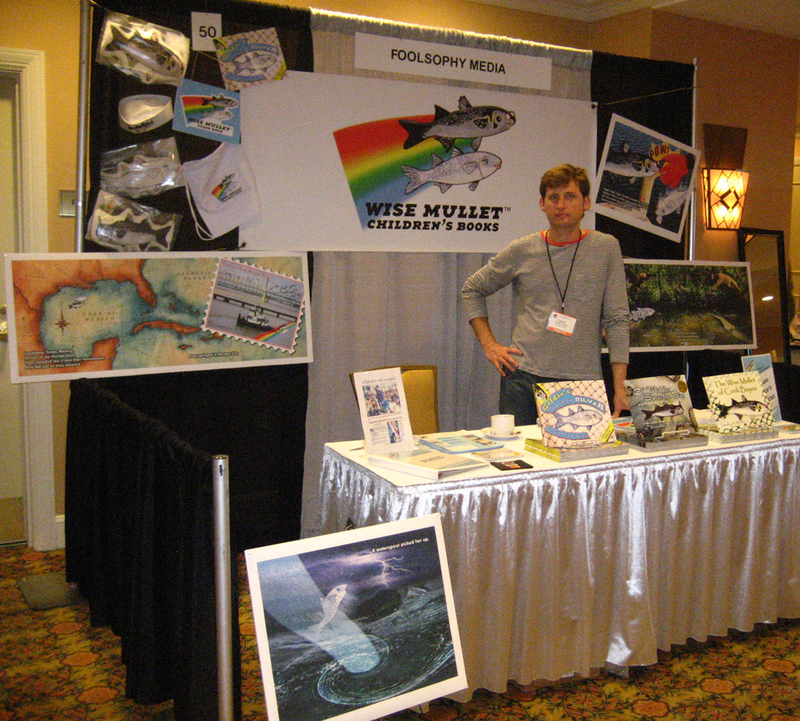 He demonstrated how childhood fishing experiences influenced his stories and how the montage illustrations were created by combining photos and paintings. 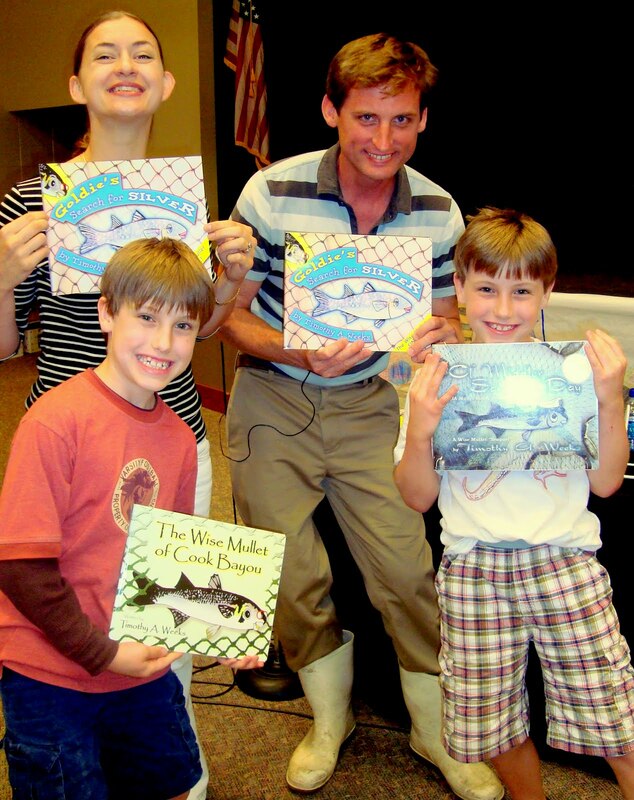 Weeks also presented at Volusia Pines Elementary on Friday, March 4, courtesy of the Lake Helen Friends of the Library, who sponsored the event.